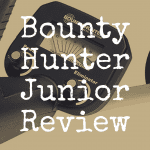 There are so many metal detectors on the market today that it can be very hard for someone who is just beginning to hunt to know which one is best for them. The lists of options can be even more confusing if you have never looked for metals before. 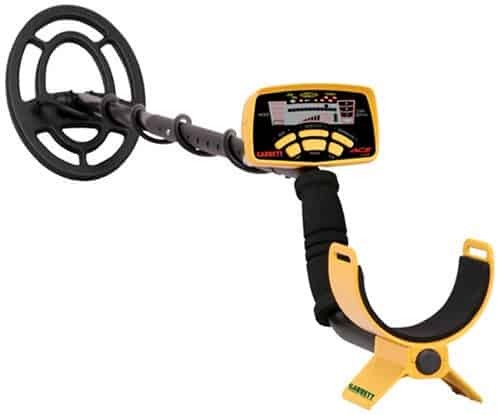 This article is dedicated to helping you better understand what you need and why, as we examine the best entry level metal detector you can buy, and explain any significant pros and cons. 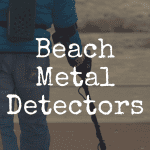 Before you even start to shop for a metal detector, you need to make a few choices. This will help you narrow down what features are the most important to you in a metal detector and may even save you both frustration and money. 2) Where are you going to search? Will you be using your metal detector only on land or will you be near (or in) water? If there is any chance you will be near water, you want to be sure the metal detector you choose is water-proof. For dive searches, you will need to choose a detector that can search to certain depths of water. The type of soil you will be searching in is also important. Most people search in different types of soil, so make sure the detector you choose has ground balance capability. 3) How much do you want to spend? Metal detectors come in all prices. You may not want to purchase the least expensive model because it may not have all of the features you need. Often, you can find your best, first metal detector for around $200. 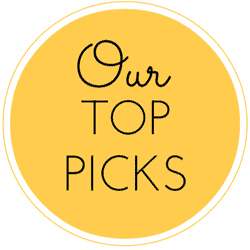 4) Do you like touch buttons or knobs to turn? For some people, turning knobs is easier than buttons to push. Having one knob to turn to change the metal type is simple and that can be a great way to start searching. Play with a few metal detectors and see what you are most comfortable with. 5) Do you want lots of features or a plain Jane model you can upgrade later? If you are just beginning, you may want to choose a plain model without too many settings and options to learn before you get out and play with your detector. You may also want to see if the detector you choose has an instructional DVD to help you learn. This is a great metal detector for beginners. It is easy to learn to operate and has enough features that you can use it for years to come without getting bored or frustrated with it. It has perfect balance and is lightweight. 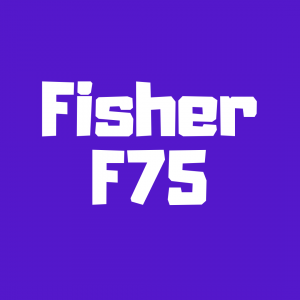 The Fisher F2 is awesome for someone that wants to turn on the machine and go searching. It won’t take weeks to learn to use. The coil is eight inches and is waterproof so you can use this either on land or on the beach. A huge LCD display shows the type of object and how deep it is buried. You can also adjust the settings so only the type of metal you want is indicated. This model also has a “notch” system so you can reject certain objects (like soda can tabs) while you are scanning. One important feature of this model is it is a great detector for gold as well as other metals. This is a very comfortable metal detector and has features that keep you treasure hunting for many years. It has a custom notch setting, adjustable sensitivity and depth settings and offers pin pointing ability. You will easily be able to see what the object is and how deep it is before you start digging. Because this detector is so lightweight, you would believe it isn’t as sturdy as others, but it is incredibly rugged and ready to be taken anywhere you want to hunt. 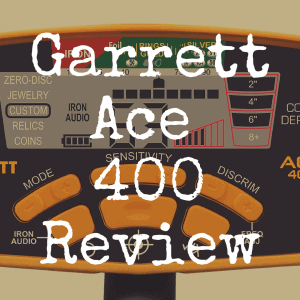 If you can’t find the 250, then the Garrett Ace 350 is a great option, too. If you plan to try searching underwater (up to ten feet), this is a great metal detector for you. You can easily search the beach and on land, too. This offers manual ground balance so you can reduce any effects from the minerals in the soil. It also has an option called Fast Track ground balance which is an automatic feature for you to quickly balance the detector. Electronic pinpointing is another feature of this detector. It will help you quickly locate the object that has been found. High-resolution iron discrimination helps you separate trash from the treasures you are searching for. With so many features to learn, this is a metal detector that you will be able to enjoy for many years. 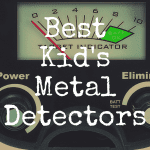 This metal detector looks like a toy so many people tend to avoid it, but it is an awesome beginner detector that will keep you having fun for a long time. It is fairly inexpensive, but extremely rugged and ready to be taken to any type of soil you want to search. It is very lightweight, so even children can use it easily. Since it only has one dial, it is simple to use. You can adjust the settings for what you want to look for. Many beginners set it to the first setting so they hear a tone for any metal. This helps you get used to using the machine and have fun finding objects. If you hear it give off a tone, you dig for the object. This detector is great for a beginner because it has a target ID system and will identify any objects you find before you start to dig. You will also know just how deep the item is before you begin to dig for it. When you use the Coinmaster, you will be able to see and hear when you find a piece of metal and you can also adjust the settings so you only hear signals for the metal you really want to find. It is lightweight, comfortable to use and can be used on the beach. As you can see, these metal detectors all range in price from $150 to $400, so you can find one with all of the features you want without breaking the bank. 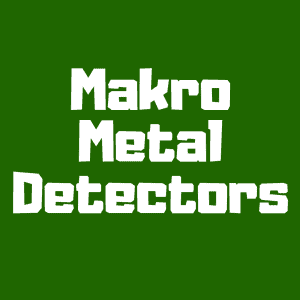 Another wonderful thing about these detectors is that they are perfect for both beginners and more experienced treasure hunters. Did this article help you today? If so, please “like” our brand new Discover Detecting Facebook page! Be sure to bookmark our Discover Detecting homepage. What’s the Best Entry-Level Metal Detector? What Are the Best Headphones for Metal Detectors?